What happens when you celebrate birthdays for 2 amazingly cute characters!!! 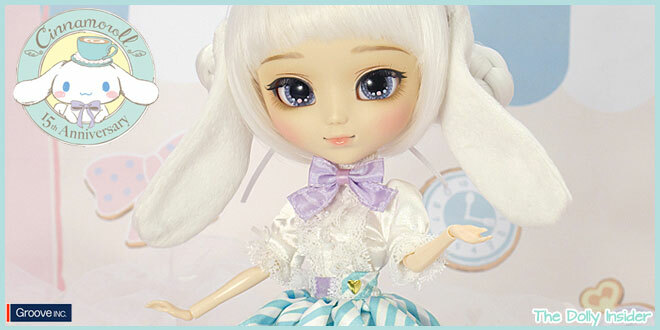 Answer: A pastel and dreamy release named Pullip Cinnamoroll ★ Pullip 15th Anniversary version! 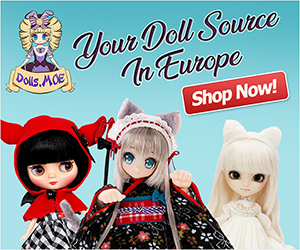 Pullip and Cinnamoroll are both celebrating their 15th Anniversary and they would like to invite you to help them celebrate this great milestone! What a fantastic treat for my eyes! The colors are nice and calming. 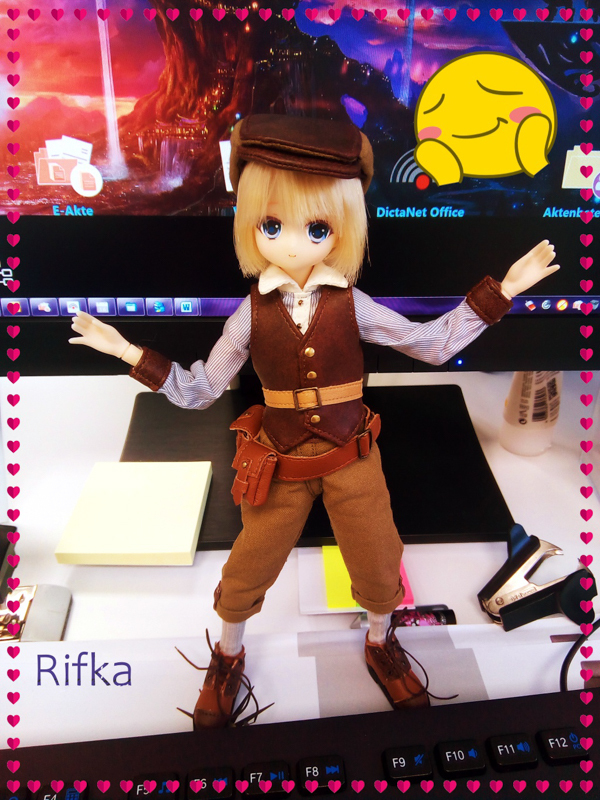 Pullip looks adorable with her fluffy white puppy ears and I can gaze into her starry eyes all day long. Cinnamoroll is too cute for words! One day the owner of Cafe Cinnamon looked up to see a white puppy floating in the sky like a fluffy cloud. His tail was plump and curled up just like a cinnamon roll, so she named him Cinnamoroll. They have been living together ever since that day. He was instantly popular with customers, and soon became Cafe Cinnamon's official mascot. I like how they designed the puppy plush. Fans have many ways to display him. 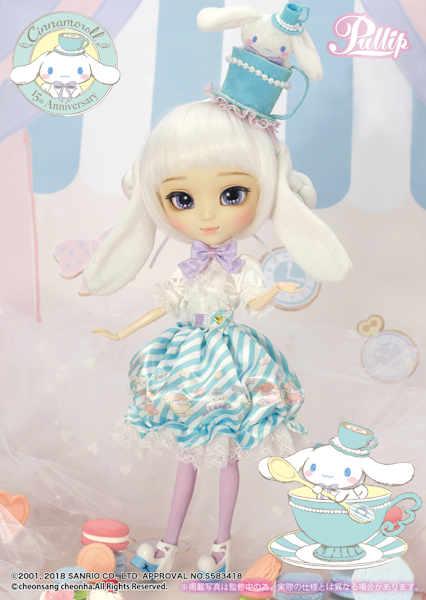 Cinnamoroll can be placed inside Pullip's teacup hat or she can wrap him in her arms. 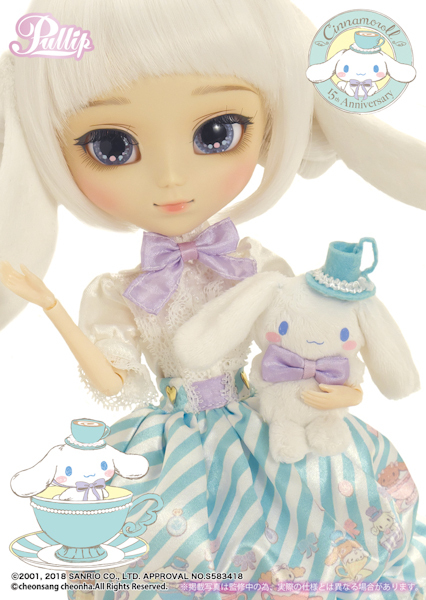 This collaboration is sure to be a big hit among Pullip collectors and Cinnamoroll fans! 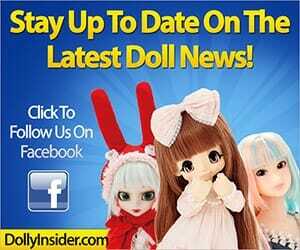 Will you RSVP to Pullip's and Cinnamoroll's 15th birthday celebration or are you not in the party mood? Leave a comment below and let us know what you think about this Anniversary release! This is awesome news to hear. 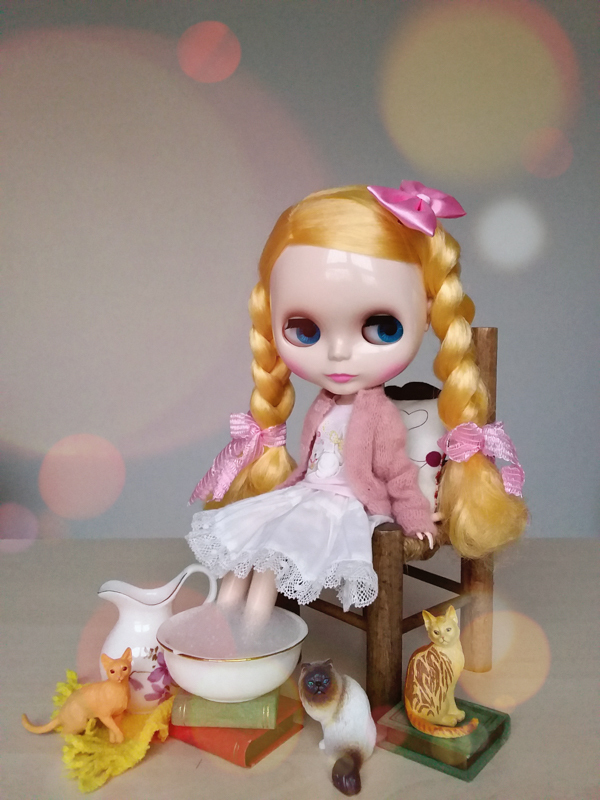 We’re so happy that you were able to welcome Pullip Cinnamoroll Anniversary into family! It says ‘Scheduled release date March 2018’ and then right below it it says ‘Release Date: February 2018’? Does that mean it could be released any time between Feb and March or was this a mistake? Yes, that is a typo. Pullip Cinnamoroll 15th Anniversary is scheduled for a March 2018 release date. Thanks again for bringing it to our attention!